Afghan officials say that implementation of CASA-1000 project, inauguration of Chabahar and Lazuli transit routes, TAPI gas pipeline, Amu River’s Oil and Gas Project and other big regional economic projects are among their priorities. These projects would be implemented by different ministries. Ministry of transport says that the contract on Lazuli Route has been signed in 2017 between Afghanistan, Turkmenistan, Georgia, Azerbaijan and Turkey which it has been officially inaugurated by President Ghani and the relevant countries’ representatives one month ago. The ministry’s spokesperson Hekmatullah Quanj told media that Lazuli Route passes through Turkmenistan, Azerbaijan and Georgia and finally reaches to Turkey. Through this way, Afghanistan can easily export its goods to European markets, he further said. Chabahar port is one of the big regional economic projects that has been inaugurated by Afghanistan, India and Iran in 2016. 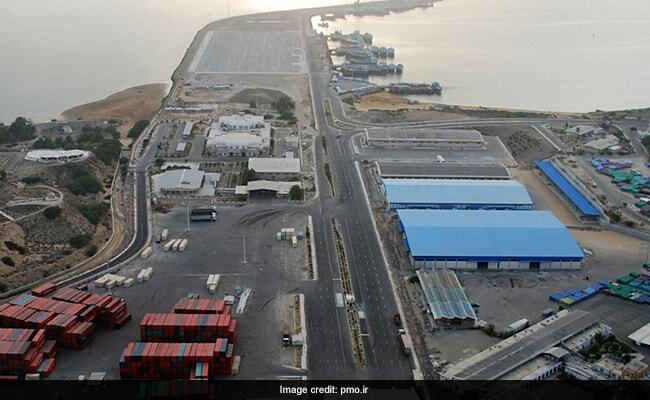 The ministry of commerce and industries says that the construction process of the port is speedily going on by India and after completion, it would help connect south Asian countries to Afghanistan and central Asia. The government of Afghanistan would earn hundreds of millions of dollars revenue through this port, the ministry’s spokesperson Musafir Quqandi said. TAPI is another project that has been inaugurated in Herat province at the presence of the relevant countries’ representatives in 2018. At the same time, the ministry of mines and petroleum says that the TAPI gas pipeline would length 2000 km to reach India, 800 km of which would pass through Afghanistan. This pipeline has the capacity to transfer 33 billion cubic meter gas, through which Afghanistan would annually earn 400 millions of dollars as transit duty. The project would also provide the employment opportunities for 12000 people. The project is expected to be executed in three years. The ministry’s spokesperson Abdul Qadir Mutafa said there have been some progresses made on the project’s technical and legal sections and works are ongoing in five provinces and 22 districts. He added we are committed to practice this project in Afghanistan and would do that based upon the intergovernmental commitment. Aynak Coppermine project is another big regional project that has been contracted with a Chinese company, but its extraction has been stopped due to two reasons, he went on to say. According to him, some legal changes should be brought in the contract and also some historical relics have been found from that area. Calling extraction of Amu River oil and gas important, he added we have signed some contracts with Tajikistan and works are ongoing in this regard. Economic experts while calling implementation of these projects important, said if the projects were successfully implemented in Afghanistan, it would help decrease the unemployment rate throughout the country. Taxpaying; good revenue for govt.